Leftovers: Safe to Eat or Not? ​Leftovers: Safe to Eat or Not? Finishing leftovers is a common practice in many families. But is it safe for your health? Chan Ya Ling, a Dietitian from Department of Dietetics at Sengkang General Hospital, dishes the truth on a common health myth. ​, does eating them have a negative impact on health? Chan Ya Ling, a Dietitian with Sengkang General Hospital (SKH), addresses this common health myth. Question: My family doesn’t like to waste food, so we frequently keep leftovers and heat them up for the next meal. Unless they smell or taste bad, leftovers are safe to eat, right? Answered by Chan Ya Ling, Dietitian, Department of Dietetics, Sengkang General Hospital (SKH), a member of the SingHealth group. This may be a thrifty way to live but eating leftovers may mean that you are consuming incorrect portions of food groups and an unbalanced meal the next day. 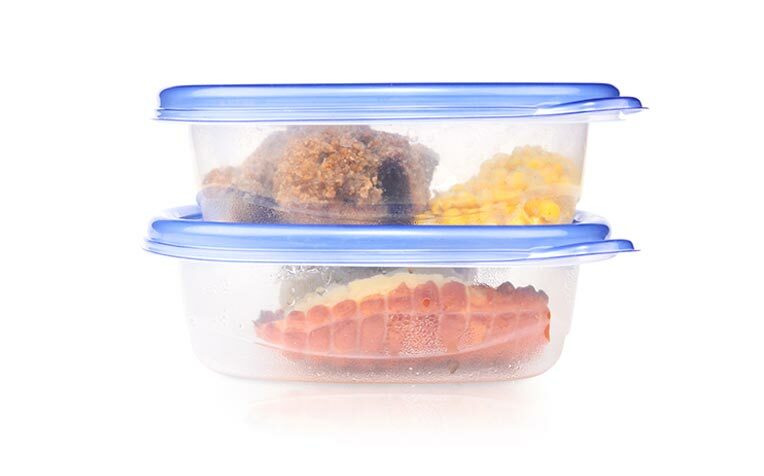 Storing and reheating leftovers inappropriately also run the risk of food poisoning. Plan, prep and store food correctly to prevent leftovers. Portion out and keep the extra food in clean covered containers if you are cooking more than one meal. Always spoon out the portion you want to eat onto a separate dish to prevent contamination of the remaining food. Bacteria multiply in the temperature danger zone of 5 to 60°C. Do not leave food in this danger zone for more than two hours. Otherwise, refrigerate it (4°C) and throw out any food that has been left out standing for more than four hours. Consume cooked food within two to three days of cooking and these should not be reheated more than once. Myth or fact – Should you avoid chicken and seafood after surgery? Click to find out. Myth or fact – Is it safe to consume coffee and spicy food while on antibiotics? Click to find out. ​​​​​​Soy vs Cow's Milk: Which is Better For You?